Ever since I was born, I've always had long, thick, wavy hair (yes even as a baby!). Now with that came the envy of those who achieved straight hair without any effort and left me dreading the process of hair brushing. Over many years there have been tears while trying to detangle my hair and it only seems like now there are solutions to actually making a difference. Introducing the Wet Brush Collection, strong contenders to the popular Tangle Teezer. Dare I say even better? Here's why you need them. Lets start off with the original Wet Brush. Now just from looking at it, to me it looked like just your standard brush.. nothing special about it. However, a lot of work has been put into making it as effective as it is. The handle and frame is made from a rubberised, non slip material which makes it really easy to grip while wet or dry. Compared to the Tangle Teezer I feel it's a lot more comfortable to hold with the handle and I find I have a lot more control this way. The bristles are made of a very flexible material that move with the hair while detangling so you're not fighting against the brush. What would take me a good 5-10 minutes with a normal brush, takes around a minute to detangle with this which really cuts down on hair styling time. With that I find my hair is in much better condition, feels softer and there's significantly less hair on the brush than there would be with other brushes. If you haven't already guessed, I'm a fan. Due to the success of the Wet Brush, they've decided to expand the range and introduce the Wet Brush Blowout Brush. The new Blowout Brush comes in 4 sizes for all different hair lengths and styles but the one I have today is the 1.75 inch, the third largest in the range. I decided to choose this one because I have hair past my shoulder length and I normally find smaller blowdry round brushes get caught in my hair so I felt this was the right choice for me. The Blowout Brush has the same rubberised material on the handle but what makes this different is again, the materials used. The barrel of the brush is made from carbon-fibre which means it can retain heat from your hairdryer along with nylon polymer bristles that can withstand temperatures of 500 degrees so no need to worry about using it with high temperatures. 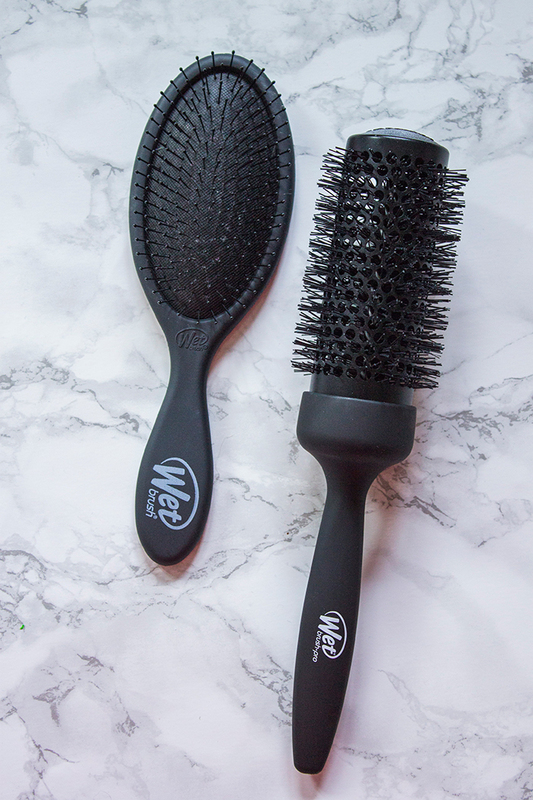 This makes it special because the heat retained means as you move your hair through the brush, it removes excess moisture from the hair much quicker. It almost amazes me how quick it actually dries the hair. As a newbie to the blowdry hairbrush thing, it does take some time to get used to but it really makes a difference in the smoothness of your hair while using it. At first I was sceptical but I've been really impressed by the quality of these brushes. I like that there's been so much thought to the materials and I only wish the detangling brush was around when I was a kid! 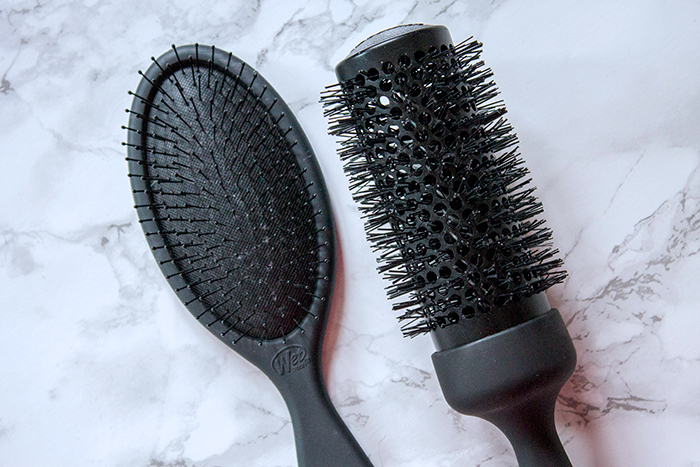 You can pick up The Wet Brush (£11.99) and The Wet Brush Blowout Brush (£21.99) via Cult Beauty.